In today's Retro Recommendations, we are focused on Good Times. Good Times was a spin-off of Maude, which was a spin-off of All in the Family. In this series, Maude's former maid Florida (Esther Rolle) and her family is the major focus. The series gave birth to the catchphrase: "Dy-no-mite!!!!!" This expression was spoken by JJ, played by Jimmie Walker, and was an instant hit, an unexpected one on a series that was supposed to deal with sensitive topics in a comedic way. Instead, the series continued to focus on JJ's outlandish behavior. By the end of season three, John Amos was fired from the series. His character was killed off in the two-part episode, "The Big Move". After season four, Rolle left the series. Then, Janet Jackson joins the cast as Penny Gordon Woods, a girl who dealt with physical abuse and was adopted by Willona, played by Ja'net Dubois. After declining ratings in season five, Esther Rolle returned to the series. Yet, her return did not help improve the ratings and ratings declined further. 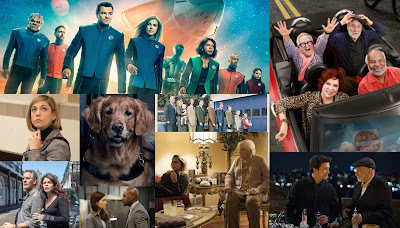 Ratings for the Maude spinoff (itself, a spinoff from CBS powerhouse All in the Family) remained strong with its first four seasons placing in the Top 30. The series peaked in 7th Place during the 1974-75 season. Following the collapse of CBS in the 1976-77 season, Good Times ratings declined in the ensuing seasons. Cast and scheduling changed saw the spinoffdropping to 53rd Place for the 1977-78 season. 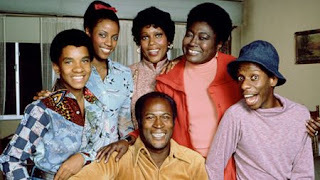 CBS canceled the series in the 6th season after it dropped to 91st Place for the 1978-79 season. And that concludes today's Retro Recommendations. Stay tuned for more shows!